There are plans for a discussion of his books on Sun, Dec 11. Watch for details to be announced soon! Click here to learn more about Alfie Kohn and his upcoming visit. You can support our school by buying a bag (or two) and/or helping pop and sell from 1-3pm. Toppers Pizza donated 20% of the proceeds from the October Restaurant Night ($149.85) to our school. It was super fun to have dinner with school friends and teachers! If you haven't seen the new OCLM website, check it out here. And, visit it often for the latest on school events and classroom news. lots of jackets & sweaters left behind. The new Lost & Found hanger is kept in the MPR and is already overflowing! Stop by and check for your child's lost items. Thanks Mrs. Shayer for coordinating the CRV Recycling efforts! And, keep saving your Capri Sun (and KoolAid) pouches! Put them in the marked bins around campus. Recycling is good for our planet and each pouch earns us $.02. Thanks Ms. Mutch for coordinating the Capri Sun Recycling efforts! Through Dec 31, fresh&easy will donate $1 to Conejo PFA for every receipt over $20. Bring your fresh&easy receipts to the office. At our fresh&easy night on Oct 27, they donated 5% of sales from 4-8pm to Conejo PFA - which totaled over $440! We have a lot to learn from our kids in their enthusiasm and willingness to try new things. The impact of this year's Fall Festival is a testament to their ability to make the most of their experiences. And, the success of the day (as a meaningful, educational community-builder) was reflected in what they, along with our parents and teachers, put into it. Music is powerful it's true, and matched with the unique talents of our OCLM community, made for a wonderful day! The winter break is upon us, which gives our families some much-needed time together. We hope your holidays gain inspiration from our first trimester at OCLM and, like our kids' learning, are filled with tradition, new experiences, growth and sharing. We Have a Winner: Fun Fair at Conejo! Our First Conejo Elementary Fun Fair turned out to be a great reason to go to school on Saturday! There were inflatable jumpers and obstacle courses, game booths, music and dance performances throughout the day, raffles, prizes and delicious food. Each class hosted a booth (thanks to teachers and parent volunteers) with classic carnival games such as grab-a-duck and ring toss. Much of the food was handmade in the Conejo Cafe the night before. The weather was in the school spirit too! Thank you to Julia Haugen and her team for planning and pulling off such a terrific event! They worked hard to make sure the kids had fun and we also raised money for our art and music specialists. In fact, we surpassed our goal and raised over $6,500!! This Thursday is the last Fun Friday before Fall Festival! The kids have just one more rotation this Thursday (Friday is the Veterans' Day holiday) in their multi-grade, Fun Friday groups before Fall Festival on November 18. Each OCLM teacher took on a different musical activity or skill to introduce to the kids on Fridays. Ms. Wendy helped the kids make drums from cardboard cylinders for a drum circle. Ms. Jennifer sang with them as she taught them about singing in rounds and using harmonies. Ms. Heather played different genres of music to inspire the kids as they created artwork. Ms Shoshana showed them the basics of music notation and how music is read. And, Ms. Megan led the kids in a musical dance routine. Fall Festival, having gained a new knowledge and appreciation for music in all its forms. Our Fall Festival will be both a culmination and celebration! It all happens on Friday, November 18. See the article below for details and opportunities to participate. Reinforce the Habits at home, and gain tools we can all use! Our kids have completed their overview of the 7 habits in the classroom, and we had our own overview with Dr. Sellers last month as she presented the habits to parents. This month, we all go deeper, beginning with Habit #1: Be Proactive. For our kids, being proactive in the classroom means taking responsibility for getting their homework done and turned in, staying on task and asking for help if they need it. On the playground, it means taking responsibility for our actions, making our own choices, and not letting others decide how we are going to feel or what kind of day we are going to have. This skill is essential to becoming a leader of ourselves and others, because it helps us understand that our reactions are much more important than the actions of somebody else. Hopefully, we will see Habit #1 make a difference in the way our kids handle everyday situations at school and at home. Join Dr. Sellers this Wednesday, November 9, in the MPR at 8:30am or 6:30pm for the Parent Training on Habit #1 to learn more. Those who have attended these trainings before know that there also are great insights and practical tools for parents to be found in the 7 Habits. We hope to see you there! Refreshments will be served. tradition for all grades--a full day event of hands-on experiences focused on a specific theme, set in an outdoor venue. The four centers will be a stage tour and vocal experience with our chorus director, instrument experience with instruments from the New West Symphony, instrument making using recycled materials and an introduction to the Opera with the L.A. Opera. - Walk back to school. Parents and teachers working together is what makes this day a special learning experience for our children. There are two final planning meetings: Thursday, November 10 and Tuesday, November 15 at 3pm in Room 26. Please attend to find out how you can help, or contact Robyn Schwartz at 805-320-7956 or rjs828@gmail.com. Donate your items, and be there to shop! OCLM's Rummage Sale fundraiser is December 2 and 3 on campus, and will include a bake sale, popcorn, and free arts and crafts for the kids. It should be a fun, community building event for our school and raise SCOPE funds, which help provide our teachers with supplies and materials for the classroom. 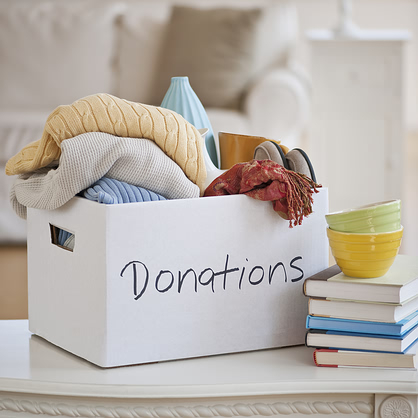 We need your donations of toys, books, household items, furniture and clothing. Please email Rebecca Jubin at byreb@initnews.com to schedule a drop-off. As promised, Dr. Sellers and the other teachers gave all the students a karaoke show as a reward for our big total in the Fall Fundraiser. Then, the whole group (students, teachers and staff) did some "stomping" together. On Halloween last Monday, students in grades K-3 wore their costumes and put on a parade in the afternoon, while the older grades dressed in black and orange. Being involved in our children's school means keeping up with the latest news on its activities. Constant Contact is a great tool for sharing that information within our OCLM Community. This newsletter is designed to share meeting times, volunteer opportunities, announcements, event photos, tools, links and anything else related to OCLM. The Leaderboard Online is published every 4 weeks. Look for the next edition in your inbox on Monday, December 5, 2011. Please submit news by Wednesday, November 30, 2011. Thanks!